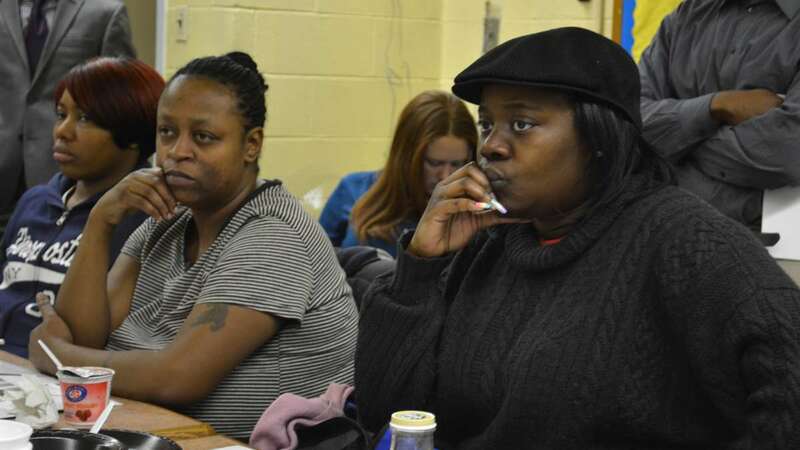 When Shereda Cromwell, mother of three, learned last year that her kids’ school, Kenderton Elementary in North Philadelphia, would be converted to a charter, her heart sank. As a parent of children with autism, Cromwell says she depends on predictability and routine to help her kids thrive in the classroom. Faced with the prospect of the unknown, Cromwell and other Kenderton parents stiffened in defense. “When we heard about the change, we were kind of upset,” she said. This was in February 2013, when the Philadelphia School District selected Kenderton and two other chronically low-performing elementary schools for Renaissance charter conversion. Determined to halt the transition, Cromwell, a leader of Kenderton’s school advisory council, organized parents to fight back against the school district’s plans. Despite her efforts, the district’s School Reform Commission voted to turn Kenderton into a Renaissance charter run by the Scholar Academies organization. Today, as Kenderton’s first year as a Renaissance charter draws to a close, Cromwell’s stance has moved from opposition to cautious optimism. Scholar Academies, utilizing a $1.3 million turnaround grant from the Philadelphia School Partnership, instituted badly needed repairs to Kenderton’s 62 year old building: upgrading infrastructure, painting hallways, buying new furniture. The cosmetic changes were nice, but as the school reopened last September, Cromwell remained skeptical. Then she witnessed a vast shift in school culture. In 2011, Kenderton had found itself at the center of an investigative profile that detailed the school district’s struggle with early childhood violence. In addition to Kenderton’s climate woes, it had been weak on standardized test scores. In its last year under district control, 26.5 percent of Kenderton’s students scored proficient or advanced in math, and 28.8 percent scored proficient or advanced in reading. Despite low test scores, the state’s school performance profile metric awarded Kenderton good marks for value-added growth in both math and reading. At this point, it’s difficult to make a reliable judgment on Kenderton’s conversion. The changes in culture have only been in place for nine months, and this year’s standardized test scores have not yet been released, but parents like Cromwell have been largely impressed with the new leadership. Not that everything about the transition was seamless. Cromwell described the first few months of classes as a “rocky start,” but she said Scholar Academies has been responsive to parents’ concerns. Over the past four years, the district has voluntarily turned 20 of its schools, including Kenderton, over to charter organizations through the Renaissance initiative. This year, the district proposed converting two more elementary schools to charters: Edward T. Steel in Nicetown and Luis Muñoz-Marín in Fairhill. In a twist on the old model, the district is allowing parents to cast an advisory vote for or against the changeover. On May 1, Steel parents voted to keep the school under district leadership by a 121-55 measure. 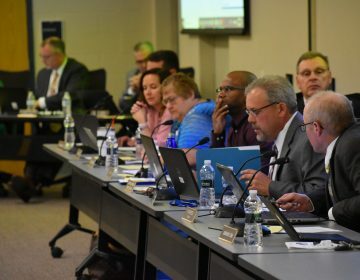 In a separate vote, Steel’s school advisory council voted 9-8 to turn the school over to Mastery’s network of charters. The district has decided that Steel will stay within its own control. Days before Muñoz-Marín’s scheduled vote in May, the district postponed balloting until June 5, saying that parents weren’t ready. 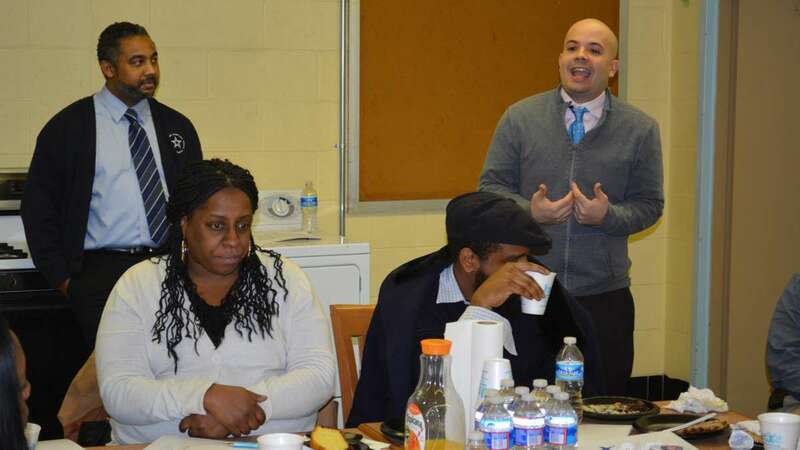 Cromwell’s comments on Kenderton’s conversion came during a recent parent open house organized by The EARTHS, a North Philly community group (co-founded by current SRC member Sylvia Simms), as well as the Philadelphia School Partnership. Parents of students attending elementary schools in the surrounding area toured Kenderton to see the fruit of the reforms that Scholar Academies has sown. “The goal is to help parents understand that there are options out there, and what a good school looks like,” said Quibilla Devine, president and co-founder of The EARTHS, and Simms’ sister. As the two dozen parents navigated the Kenderton building, they came across clean, bright hallways, and classrooms named not by number, but by college or university. Classrooms visited were well populated and orderly. Students seemed engaged in the subject matter. Teachers delivered consistent messages using shared language and codified motivational tools. 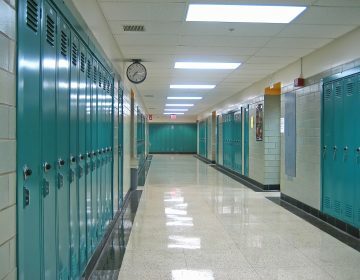 When changing classes, students, wearing matching green tops and khaki slacks, walked in rigid rows on the right side of the hall, hands plastered to their sides. Fifth grader Camille explained the difference that Scholar Academies has made on the school: “It’s, like, they strict,” she said. One of Cromwell’s major fears before the conversion was that the charter would somehow find a way to rid itself of the students thought most difficult to educate, but she says that hasn’t been the case. School director Hedi Belkaoui, who has a decade of experience in urban education, but is new to Philadelphia, assured parents of that on the tour. Young Scholars Kenderton remains a regional feeder for students requiring autistic and emotional support. 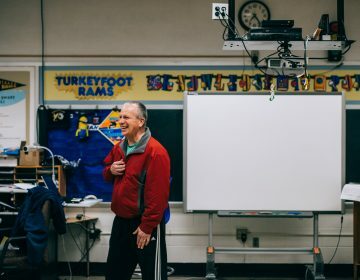 It’s a mantra Belkaoui and his team of teachers promote early and often – as evidenced on the tour by a group of Kenderton kindergartners who emphatically answered Belkaoui’s beckoning. “Hard-work does not scare me,” the kindergartners bellowed in a unified chant. “Who are we?” Belkaoui called back. Mantras alone, though, do not a success story make. In 2012-13, the district provided Kenderton with 41.8 full-time employees for 389 students which works out to one for every 9.3 children. Of the 41.8 FTE’s, 26.9 were teachers, making for a 14.5 to 1 teacher to pupil ratio. In 2013-14, under Scholar Academies’ control, the school receives 61 full-time employees for 464 students – one for every 7.6 children. Of the 61 FTE’s, 46 are teachers, allowing for a teacher/student ratio of 10 to one. With these extra supports, the school can provide much more one-on-one attention to students struggling with academics and discipline. Every floor of Young Scholars Kenderton has a dean dedicated to counseling disruptive students. In 2012-2013, when Kenderton was run by the school district, the school spent $3.2 million on operating expenses. About $2.7 million of this came from the school district’s coffers, and an additional $514,899 came from federal Title I & II grants. It’s important to note that this $3.2 million figure counts only the money spent inside the school building and doesn’t count the district’s centralized expenses such as insurance, accounting, and payroll services. 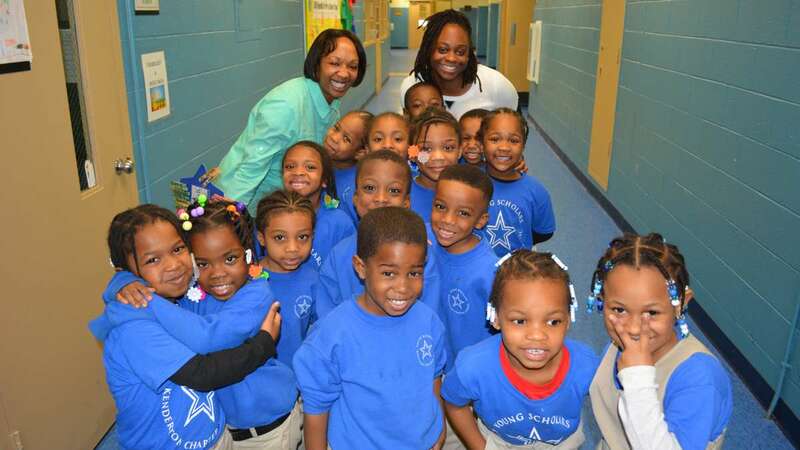 In 2013-14, with Kenderton run by Scholar Academies, the school received about $5.6 million in operating revenue. It says it received $5.1 million of this from the district, $330,000 from federal Title I & II grants, $130,000 from other subsidies, and the remaining $40K from smaller sources such as federal reimbursements for technology expenses. Why would the district send Scholar Academies $5.1 million to operate Kenderton, if the district sent only $2.7 million to the school when it was under its own control? 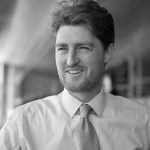 “Charter per pupil payments are based on what the district spends the prior year, not on a specific school per se, but it’s what the district spends as a whole,” explained Matt Stanski, the district’s chief financial officer. From the whole, school districts in Pennsylvania can subtract the cost of line-items such as transportation and debt service. All other district expenses, though, must be tallied, averaged per pupil, and passed on to the charter. In the case of a Renaissance conversion of an elementary school like Kenderton, that means the district sends the charter a higher per-pupil allotment because it must include all of its central administrative costs, as well as the cost of programming seen at other district schools such as athletics, career technical education, accelerated learning programs, Promise Academy expenses, etc. Despite weeks of requests, district officials did not confirm or comment on the financial comparison presented here. District data comes from publicly available documents on its website. 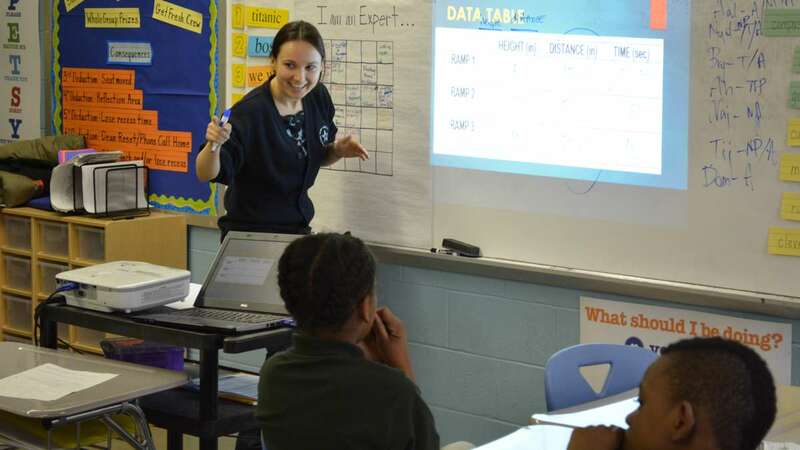 Scholar Academies’ data comes from its chief financial officer. A closer look at how Scholar Academies spends Kenderton’s $5.5 million dollar operating budget does provide some insight. Items such as administration, payroll, information technology, facilities and student support services use up $1,265,000. When under district control, these were the centralized expenses that would not appear on individual school budgets. Subtract this from Scholar Academies $5.5 million operating expenses, and you get $4.24 million. Divide this by 464 students and you get a $9,127 per pupil expenditure, or $901 more per pupil than the allotment Kenderton received when run by the district. *For Scholar Academies, this number counts ALL costs associated with the school, not just classroom-based costs. The other point to make here is that related to so-called “stranded costs.” As noted above, Scholar Academies spends $1,265,000 on centralized costs that build a similar infrastructure to what already exists within the district. 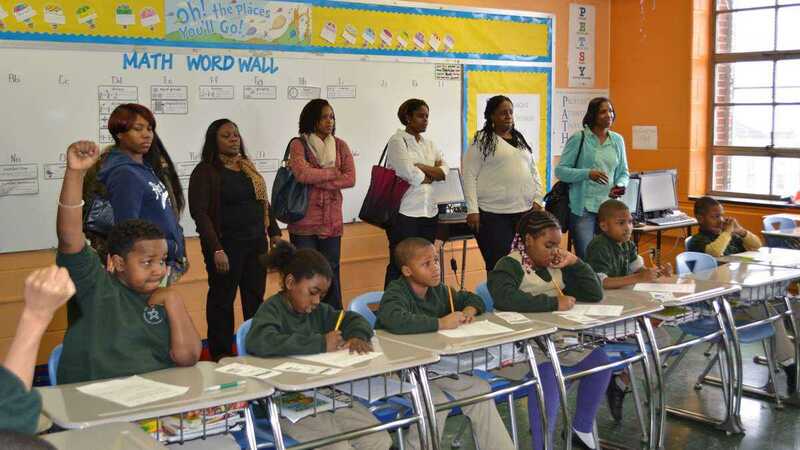 In addition to the $5.5 million used for operating expenses, Scholar Academies received a $1.3 million start-up grant from the Philadelphia School Partnership, totaling $6.8 million in total expenses. After walking the halls and peering in on lessons, parents on the tour were, by and large, impressed with Scholar Academies’ leadership. In a conversation conducted in Kenderton’s entryway as the event wound to a close, Meade parent Ieshia Brumfield gushed over Kenderton’s climate improvements. But when pressed if she’d favor Meade becoming a Renaissance charter, she bristled at the prospect of change. As we talked, school director Belkaoui drew himself into our conversation, and suddenly a microcosm of the city’s education debate materialized in Kenderton’s hall. Forget the word “charter,” Belkaoui said. Here, something was on the tip of Brumfield’s tongue that she was embarrassed to reveal. She and Jamie Jones, another Meade parent, conspired for a moment in whispers. Jones, a faded tattoo on her bicep, her hair tightly wound in a bun, pushed Brumfield to speak her mind. 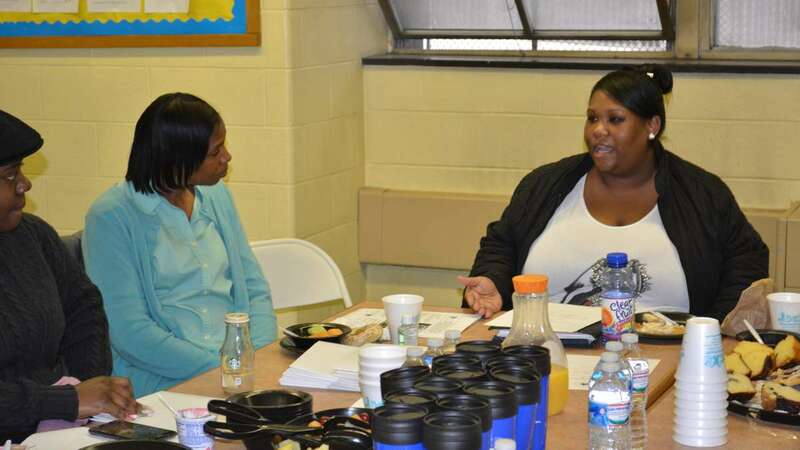 Around her, a crowd of Scholar Academies administrators and Philadelphia School Partnership staffers had gathered. A nervous laugh rose from Brumfield’s frame. “That’s about it,” she said. Kenderton’s chief of staff, John Polk, inserted himself to explain that charters have more flexibility with how they spend their money, referring euphemistically to labor unions. To many parents like Brumfield, the issue is as much about an emotional attachment to the idea of a school as a public entity as it is about raw facts and data. Belkaoui downplayed these differences as purely semantic. To be clear, Belkaoui spoke hypothetically — not expressly advocating for Meade’s conversion. As the conversation heated up, the Scholar Academies’ communications director stepped in to drop the curtain. “I know that you guys actually have to go,” he injected. And with that, the debate ended as do many in the landscape of Philadelphia public education — with both sides as ideologically entrenched as ever before. In a follow-up phone call weeks after the tour, both Brumfield and Jones stuck to their positions. If the district ever proposed Meade for Renaissance conversion, as parent volunteers, they’d lead the charge in opposition. “I would protest,” said Brumfield.